For many of us, applying for a job is an infrequent event that occurs for any number of reasons. For some people it's a change of vocation, for others it's because continuing their current job role is no longer possible. For some people, their time on this site has come as they venture out into the world of work for the first time. What is often a factor in the search for the ideal job is that finding the role that is right for you can sometimes be frustrating and more long-winded than you would hope. Our software has been designed from a Candidate perspective and should be conveniently laid out to make seeking and securing your ideal role as simple as possible. It's important to prepare for your job application by asking yourself questions such as, where do you want to work? Do you want full time or part time? Temporary or Permanent? What Industry? It sounds like common sense, but knowing these factors will help you target the most suitable role for you. If you aren't sure, try searching for a few vacancies and find out about what each role entails. Be mindful about your qualifications. To avoid continual rejection, be realistic and apply for roles which suit your experience, qualifications and abilities. 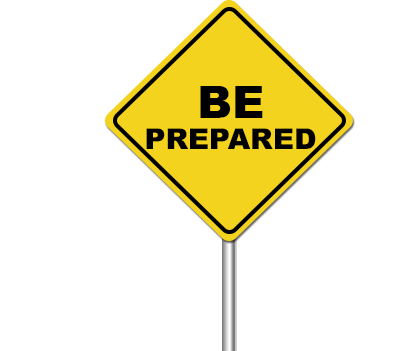 Once you're ready, it's time to prepare your CV [hyperlink to Glossary at bottom] . To create a professional and correctly laid out CV click HERE to use our CV builder tool. Searching for a job has never been easier. Finding vacancies via the Internet is now a staple feature in the world of recruitment. Almost all companies now use the Internet to recruit either on their own websites or through "Job Board" websites like ours. On our site you will find two different types of Recruiters, these are Principal Recruiters or Recruitment Agents [Hyperlink these two terms to the glossary bit at the bottom] who operate on behalf of companies that do not advertise their own roles. Companies tend to use Agencies when they have a large or on-going requirement that requires extensive search and selection or when they use that company to manage long or short term contract roles. Although our software is geared up to promote the most suitable roles for you, try to extend your search parameters, try different keywords in your search and consider how far away from home you would realistically like to work. Sometimes extending the reach of your search can provide additional opportunities that you may not have considered. Also, don't get too hung up on job titles, different companies have different names for similar roles, the detail is in the description. Since so many jobs are now advertised online and the process for applying for roles is so quick and easy, Recruiters now find that they have more applicants than ever. Because of the lack of barriers of application, pretty much anyone can apply for any job. For Candidates this means that there is increased opportunity. For Recruiters this often means that there is always a margin of applicants who are simply unsuitable and there are more applicants than usual for each role. It is important to be patient and to handle any rejection you may face. Due to the volume of applicants, not all Recruiters will provide you with confirmation if you haven't been successful, nor will they always give you feedback. As a rule; if you haven't heard from the Recruiter within a week of the close of their Vacancy, their is a chance that you have not been successful. 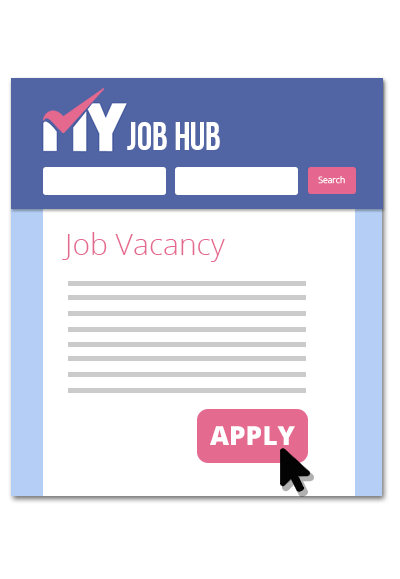 The software behind our website allows Recruiters to message you directly so be sure to check the messages section within your profile for opportunities, feedback and to talk to your Recruiters. Unless stipulated, cover letters are not always a necessity. You may wish to include a cover letter but, typically, you should try to convey as much information as you can within your CV. Once you've applied for suitable positions or for jobs that are of interest to you, you will hopefully be fortunate to be shortlisted and/or offered a position. In the first instance you will be contacted by the Recruiter. When this happens, communication is key. Make sure that you let the Recruiter know whether or not you are still interested in proceeding with this role, let them know if your circumstances have changed. If you have applied for several roles and have forgotten about this role, don't be afraid to ask for more information about the job. Make sure you find out how to contact the Recruiter in case you have further questions. By registering with this website, you may also receive job offers for roles that Recruiter believe you may be suitable for. As above, let the Recruiter know if you are still available and looking for work with them in the first instance - this could hold you in good stead for future job opportunities if you let them know straight away that this particular role is not for you. If accepting a job offer leads to an interview, check out this blog post for advice on undertaking an interview. The beauty of an online platform such as our is that your profile stores your information, even when you are no longer looking for work. It is a good place to store your CV and keep it updated, as well to check back every now and then for the latest vacancies that might be suitable for you. within your profile there is our unique availability "Traffic light" system which will allow you to communicate to Recruiters whether you are looking, passively looking or no longer looking for work. This will control if a Recruiter can message you and how often you will receive messages informing you of suitable vacancies. 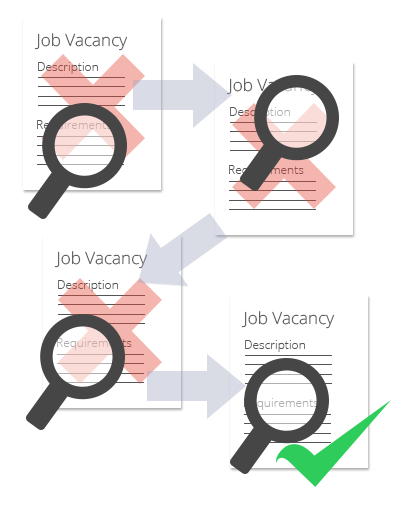 Job Audit/Job Analysis - a systematic procedure for gathering information about the current or proposed duties and requirements of a position in order to determine the most appropriate classification (job title). Recruitment Agents operate on behalf of companies that pay them to advertise their roles and oversee the Recruitment Process on their behalf. Companies tend to use Agencies when they have a large or on-going requirement that requires extensive search and selection or when they use that company to manage long or short term contract roles. They may also use an Agency for senior appointments that require thorough screening or headhunting. CV/Curriculum Vitae/Resume is the document used by a Candidate to list down their employment history, experience and qualifications. Recruiters use a CV to assess whether the Candidates skills match the requirements of the job role that they have vacant. Contract Role - A contract role is typically a temporary position that is bound by a contract limiting its duration. The duration is typically restricted to a set period of time or the completion of a project. Temporary Role - A Temporary Role it isn't necessary bound by a maximum or minimum number of hours, it can be ad-hoc, seasonal or recurring employment situation where an employee is expected to remain in a position only for a certain period of time. Temporary employees may have the opportunity to achieve permanent employment status after the time period has lapsed, Temporary workers may also be referred to as seasonal employees or temps. Employment term may be based on the completion of a project, the availability of funding, or other circumstances. Permanent Role - is a position without a pre-determined time limit. A permanent employee differs from a Contract or temporary employee, both of which have a pre-determined period of employment. The Working Time Directive, is a Directive of the European Union. It gives EU workers the right to a minimum number of holidays each year, rest breaks, and rest of at least 11 hours in any 24 hours; restricts excessive night work; A day off after a weeks work; and provides for a right to work no more than 48 hours per week. It was issued as an update on earlier versions from 22 June 2000 and 23 November 1993. Since excessive working time is cited as a major cause of stress, depression and illness the stated purpose of the Directive is to protect people's health and safety.